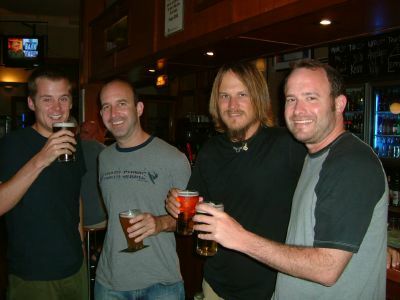 the byron bay group: andrew, brian, me, and jordan enjoying a few beers at the hotel bar. 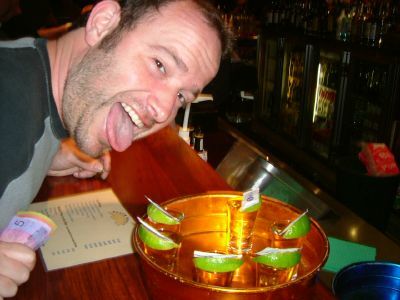 jordan very excited about the tequila shots he ordered - until he got the bill. 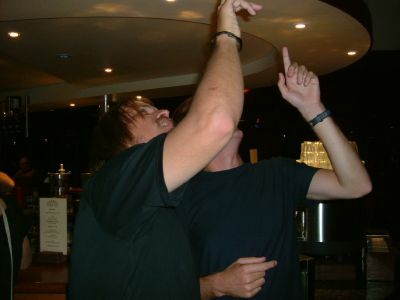 andrew and i had this stupid thing going about looking up into the sky (at nothing) and discussing it like it was something. one of us would look around the bar to see how many others we got to look up. i learned this from jeff tilley in grade school and i'm still doing it at age 33. remember, jeff? back in sydney. stephanie came to visit for 3 week. 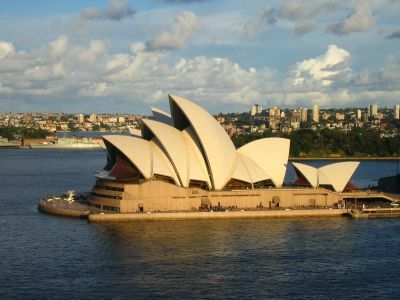 on her first day we walked over the harbor bridge while the sun was setting and i took this picture of the opera house. 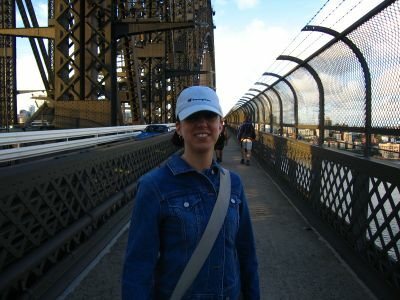 stephanie on the harbor bridge. 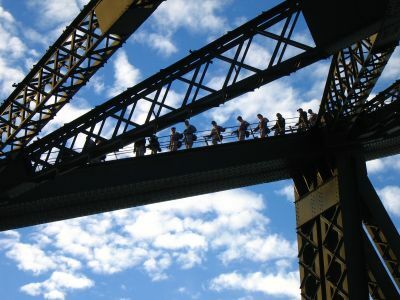 for a stupid amount of money you can climb over the structure of the harbor bridge. i never did it but here are some people who did. 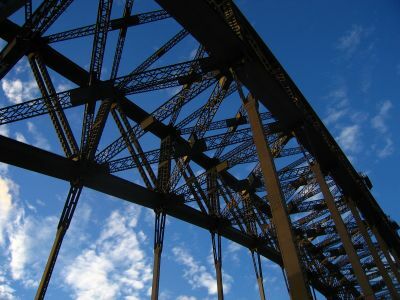 the harbor bridge from below. 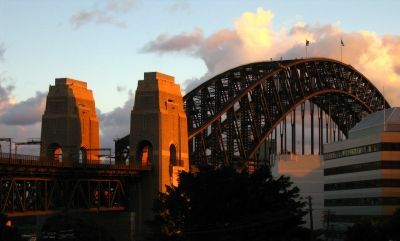 the sun setting on the harbor bridge as seen from north sydney.